Believe it or not, The Simpsons Movie is officially 10-years-old. 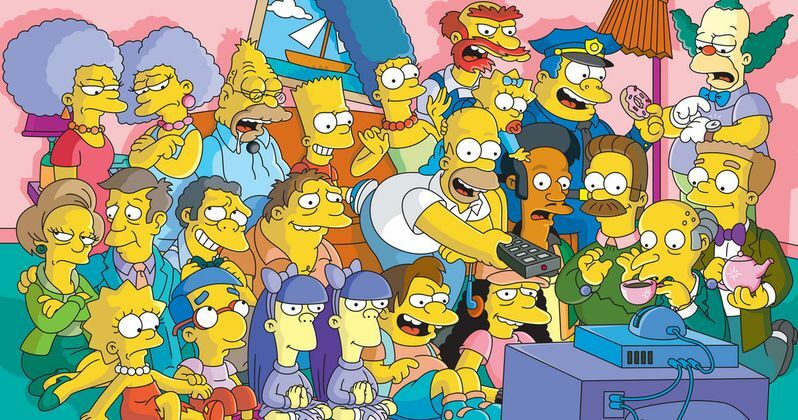 Somehow, an entire decade has passed since The Simpsons first graced the big screen. Despite being very successful, no sequel has been made in the years since. There has been talk of a Simpsons movie sequel here and there ever since, but it hasn't actually been made. So where do the creators stand on The Simpsons Movie 2 today? They want to do it, which is the good news. The bad news? It isn't happening just yet. David Silverman, who directed The Simpsons Movie, and longtime producer Al Jean recently spoke with Entertainment Weekly in honor of the 10th anniversary of the movie. To conclude the chat, EW asked them if they are interested in doing The Simpsons Movie 2 and where they are at with that. Silverman says that he really wants it to happen, but he makes it clear that we shouldn't expect it to happen in the near future. Here's what he had to say about it. "I'd love for there to be another one. We're still a ways away from it. We talk about this and that. We're thinking it over, but nothing's happening just yet.....It's still daunting because it really knocked the stuffing out of us to do the movie and the show at the same time." Part of the problem is that the same people that work on The Simpsons, the producers, the writers, the cast, all have to work on the movie as well. They have all talked about how difficult it was working on The Simpsons Movie and doing the show simultaneously. That has been one of the big hangups in getting The Simpsons Movie 2 going. One of the other issues according to Al Jean is that they don't want to do it just to do it. They want it to be really good if they are every going to make it happen. "I'd say [it's in] the very earliest stages. I certainly am cautious about a couple things. I wouldn't want it to be risky in terms of budget, and I would not want it to be anything that we did purely for the money. I would want it to be a really great movie. I personally feel no need for another one unless it's great." The Simpsons Movie made $527 million worldwide back in 2007 working from a comparatively small production budget of just $75 million. That is a pretty solid return, especially considering that people can just watch The Simpsons on TV anytime they please. The movie was also received quite well, boasting an 88 percent approval rating on Rotten Tomatoes. So it's no surprise that Fox would want to do a sequel, but they can't do it unless the creative team behind the show is ready and willing and it just doesn't sound like the stars are aligned. Not yet anyway. Simpsons Movie Sequel on the Horizon?